Princess Daisy, sort of. Princess Peach was renamed Princess Toadstool in the American releases of the early games in the Mario franchise. Except Super Mario Land had a different localization team, resulting in some enemies getting a second English name and Princess Peach being named Princess Daisy. For the next decade, Nintendo ignored this little oddity. But the fans never forgot, and Princess Daisy became a separate character in fanon. Nintendo finally acknowledged this by making Princess Daisy a playable character in various sports and party games beginning with Mario Tennis in 2000. I can’t seem to find anything about this anywhere else, so I was wondering if you would be interested in checking this out using the original Japanese Super Mario Land and if it’s indeed true, if it was something article-worthy. Ah, Super Mario Land . I remember the awe of seeing an actual Game Boy and the idea of playing Super Mario Bros. anywhere at all… But I was quickly confused. “Who the heck was this Princess Daisy? What happened to Princess Toadstool?” I probably thought. At the time, I don’t think I realized that these games were originally from Japan or anything like that, but almost immediately I felt like something was “off” about this version of Super Mario. After all, Mario didn’t look or act much like Mario, the princess had a different name, the enemies were weird, there were side-scrolling shooting stages, fireballs became bouncy balls, and so on. But it wasn’t until I finally got a hold of the actual instruction booklet and Nintendo Power articles that I realized how truly bizarre everything in the game was! Anyway, let’s get down to the actual question – was “Daisy” actually called “Peach/Toadstool” in the Japanese version of Super Mario Land? And yep, it looks like she was called “Princess Daisy” in the Japanese version too! So it seems she’s been Daisy all along! The princess in Super Mario Land was indeed called “Daisy” in the original Japanese release. Her name wasn’t the result of a localization change; in fact, most of the names in Super Mario Land were left completely unlocalized. If you liked this post and know someone else who's a Super Mario Bros. fan, consider linking them to this article. It's a great way to help support Legends of Localization! It’s different because it was developed by an entirely different team than all the other Mario games. It was also in the nascent period of the gameboy, and those things are woefully underpowered so very few games have things like integrity checks and error handling. I imagine the whole engine was probably redone from scratch instead of being a stripped down version of the NES one. The game is different because it wasn’t made by Shigeru Miyamoto(Mario’s Creator). It was made by Gunpei Yokoi with his own team. Miyamoto had no interaction in the Project at all. When Yokoi died in 1997, Miyamoto made his characters (like Daisy and Wario) Playable in spin-off games as a homenage. Later, Wario would start his own franchise, since he became so popular. But Daisy was forgotten to just Spin-off titles. The first super mario land had almost NO localization at all. The japanese version had english text like the first SMB and it’s the same version as the US and Europe. The manual had a really bad localization, letting all the enemies with their japanese names. Even classic ones like the Piranha plant was called Pakkun Flower in this game. Later Nintendo made english names for the new enemies of this game. Like, Chibibo became Goombo. I don’t know about the localization part, but i think Mario Land was made by Gumpei Yokoi (I’m sure i spelled his name wrong somehow), as opposed to all the other Mario games being done by Miyamoto. What’s this? TVTropes might be wrong? Say this isn’t so. Laughs at an overrated website’s dying relevancy aside, I assumed the game was different because it was still in the relatively early days of the Super Mario franchise. Just about each major game had a separate location (ie. SMB1 = Mushroom Kingdom, 2/USA = Dream World, 3 = Mushroom World, 4 = Dinosaur Land, etc). Nowadays, just about every game with rare exceptions takes place in the Mushroom Kingdom for “old time’s sake”, even though it was pretty much always new territory in each game to make them feel distinct. Although, yes, the most likely reason is because Gunpei Tokoi took over since the Game Boy was his baby, and he was like a mentor to the older folks at Nintendo (including Shigeru Miyamoto, apparently). No one ever said they were right either. And now you see why Wikipedia has a  tag for dubious claims. Seems like “Birabuto” was originally ピラプト, and was meant to be “Pyrapt”, a portmanteau of “pyramid” and “Egypt”. Never realized that before. TVTropes is full of crap. I wouldn’t trust it myself. And yes, SML is weird, even SML2 had Mario with bunny ears and exploring his balls. It’s trying not to be. Also, it’s a wiki like Wikipedia: Anyone can edit it (well, anyone who has an account there). It was actually fixed about a month ago according to the history. I like TVTropes. I can see how it might not appeal to everyone, but I don’t understand why some people have such a strong loathing towards it and need to bring up how much they don’t like it whenever it’s referenced. It’s not the worst website in the world. You really only need to read the first two pages. What happens after that is up to you. Did you really reference the SomethingAwful forums on why we should hate a website? Especially since the OP seem to have a horrible chip on his shoulder. I’ll admit, I still pop in there once in a while, but I thought TV Tropes neutered itself at least twice over now? Both times due to someone complaining to Google and getting their ad revenue pulled? Are the users that stayed after the mass culling of the nastier trope and work pages still that bad? Maybe I’m just sheltered or insensitive to anything that isn’t “punch in the face” offensive. I enjoy TVTropes myself, so I don’t really see why people hate it so much. When people complain about it they always say “it’s crap, it’s all lies, etc.” If they have such a problem with it why don’t they just change it? It’s an “anyone can edit” site after all. It looks like they hate it simply for the sake of hating it. I thought it was members-only. I just checked. You do have to make an account. All you need is an email account. In fact, I decided to make a TVTropes account. I’ll probably just be fixing spelling errors I come across, though. I did not realize there were people who disliked it at all. It’s not a wiki, although there are now wikis that do a better job than they do. They’re a shell of their former selves. Wiki stands for “What I Know Is”, so even if the general public can’t edit the pages, it’s still a wiki. It doesn’t have to look or act like Wikipedia to be considered a wiki. I know I’m replying a few years late, but “wiki” is not an acronym. The very first wiki was called WikiWikiWeb, and it was named after the Hawaiian expression “wiki-wiki”, meaning “very quick”. I agree. I find it to be total garbage. Waste of webspace if you ask me. Yeah, Sarasaland is weird, but the dialog(?) “Oh! Daisy Daisy thank you Mario” is even weirder. I’m actually kind of amazed at how many people didn’t know who Daisy was for so many years after her re-introduction in Mario Tennis. I was surprised no one knew her from NES Open. I’ve found wikis that miss that she was reintroduced in that game. That typical paranoia people have when they think North America changed official original names. Typical, but grounded. You have to admit, it happens a lot. Especially with older titles like this one. The Hollywood Super Mario Bros. movie must have started this rumor. That brings up another good point: which came first, the movie or SML? Super Mario Land came out in 1989, the Super Mario Bros. movie in 1990. Well, it may be a name and not a curse, but I think you read it’s intention properly. I really thought this game was orginally something else at some point during development, due to just how… different it is, and most importantly how the differences are handled. It would make more sense if made right after SMB, as it kind of is “Alternate world SMB”… But this was after both SMB2s, and even after SMB3. Everything in it feels like it comes out of nowhere. I guess another idea could be that, despite its late release, it WAS designed right after Super Mario Bros, and the game idea only was picked up later on for the Game Boy. Honestly, I’m actually pretty curious about the development of this game. Sadly, we may never hear of it. The official statement from Miyamoto is that the Mario series essentially have no continuity. Which explains why the geography of the games tend to vary, how the fact Mario can attend two different star festivals in his life and still look young despite the fact that they are usually 100 years apart, etc. The RPGs technically are in their own continuities separate from the main games and don’t usually have Miyamoto’ input, which explains why they might reference stuff from past games. Even then, I doubt that, for example, Mario and Luigi: Superstar Saga is canon to the Paper Mario series and that Paper Mario: The Thousand Year Door is canon to the Mario and Luigi series, etc. It’s always been my understanding that things seem so different because of the Game Boy’s hardware limitations. Like, the Koopas blow up after you jump on them because shells would mean too many sprites to handle, Mario throws regular balls instead of fireballs because the space for the sprite was too small to make them look fiery, 1-ups were changed to hearts because they couldn’t use color to distinguish them from regular mushrooms, that kind of thing. The last thing is probably true, but regular fireballs and Koopa shells were in Super Mario Land 2, so the Game Boy can handle them fine. I bet the programmers just couldn’t figure out how to do them in the first game. I was thinking about touching on that, but yeah, that’s part of what I meant. Developers, obviously, can figure out how to get more out of a system after three years than they can at launch. However, it’s also worth mentioning that Super Mario Land 2 had a much bigger ROM size–eight times what SML1 had–so they had much more room to improve visual definition. It’s also entirely possible that they included more RAM on the SML2 cartridge to facilitate things like shells sticking around for you to kick. Frankly, Super Mario Bros 2 (USA) had a closer development with the original team than this one did. I think Mario Land gets a bad rap myself, but I also think our SMB2 gets too much flack. Everyone knows how our SMB2 was based on Doki Doki Panic, but what few realize (I didn’t until I read a very interesting interview on Iwata Asks over at Nintendo.com) is that Doki Doki Panic started life as a Mario game. Wow, how deep does this rabbit hole go? It turns out that originally, a developer wanted to make a vertically scrolling platformer with Mario characters. The original idea was a multiplayer game where players could pick each other up and toss each other around (you may notice that this ended up in the console based New Super Mario Bros. games, and also Chip & Dale). Miyamoto was called in for advice and after some talk, the idea was shelved for a bit because working out those details was too challenging. Eventually, they got a license for a certain set of mascots for some radio station or fair (the details are sketchy to me) and the original project was revived as Doki Doki Panic. The game was changed to single player (with character selection) and instead of tossing your friends, you toss your enemies. Also, while vertical stages were still in the game, they took a back seat to more standard side scrolling stages. However, even in Doki Doki Panic, there are signs of the Mario based heritage dotted all over the game. It has invincibility stars, for example, and the “warp pipe” mechanic is still present. For the US, they opted to simply change Doki Doki to a Mario game. Hardly any sort of theft, rather it was being changed to what it was originally intended to be. Frankly, finding out about the rest of that story really changed my outlook on the game. I actually really enjoyed SMB2 as a kid (before SMB3 came out, that is), and to look at it you can see a lot of elements that became staples of the series, including picking up (certain) enemies and throwing them around. It certainly didn’t deserve that black sheep status it got after we found out about Lost Levels. (Also a great game, but you have to admit that it was far more derivative and unimaginative). In this article (http://www.wired.com/2011/04/super-mario-bros-2/), Tanabe discusses the demo that became Doki Doki Panic. The article does say that the demo was intended to show what a vertical-scrolling “Mario-style” game might be like, but there’s no mention of it being intended as an actual Mario game. Taken alongside Tanabe’s comment in the Iwata Asks interview, it seems obvious that this is the case. I have a potentially interesting (and possibly a quick one) for you, Mato! Actually, I think I know the answer to this, but I feel like it’d be a good one for an article. If you need the text from the Japanese manual, I know where it can be found transcribed online, so let me know if that’s required and I’ll hunt it down to help! Presumably “original life form” means he’s from the race than originally lived in Zebes, but that’s just a guess. Yes, I think that’s the intention, but later games have seemed to imply (or outright state, I can’t remember) that the indigenous race were the Chozo (hence the statues). However, I’m not sure the Chozo Statues had a particular name back then, and the idea of the Chozo might not have been in the developer’s minds. Perhaps the statues were originally intended to be Ridley’s race? Just random speculation. I’m curious if the original text was more clear about whether he was a native species or simply lived there before the Space Pirates arrived. Also, I managed to find the manual for the GBA version online and it retains the same text almost word-for-word. Weirdly, his official art in the manual is entirely different from his in-game appearance. Not that uncommon in old manuals, but his is REALLY different. This seems to back up the “native species” idea from what I can make of it, but I was wondering if someone more fluent may be able to read more out of it. Minor correction, apparently it’s canon that the Chozo arrived on Zebes in the Wrecked Ship, so they’re not native of Zebes. Of a species native to Planet Zebes, Mother Brain now controlls him. Sorry, “lord of the Mini-Boss Rooms” Couldn’t think of a good way to put that. That says “Lord of Boss Room II”. The Japanese video game term 小ボス means “a boss that isn’t the final boss”, which we typically just call a “boss” in English. A mini-boss is a mid-stage boss. Ah, I thought the vertical bars were a copy-paste artifact. Thanks. Also, I’ll keep that translation in mind – it’s fairly close to how I remember old NES manuals referring to things. I always used Mid-boss, mini-boss, etc, to refer to any boss that doesn’t end the stage; I guess when I played Metroid as a kid I thought of it as one big stage with only one boss. I find it kind of amusing that fanon has decreed Daisy to be Luigi’s girlfriend, despite Luigi not appearing at all in SML, the only game Daisy appeared in that’s canon (or what passes for canon in the Super Marioverse, ie not sports, party, etc type games). Why would canonicity matter? She is portrayed as being Luigi’s girlfriend in pretty much all the media she is in. It stands to reason that, if she does show up in the main franchise again, she will be Luigi’s girlfriend. Just because Mario saved her and brought her back to the Mushroom Kingdom with him doesn’t mean she couldn’t have taken a liking to his brother again. Especially if Mario and Peach were or got back together. The stuff about Daisy isn’t true, but it’s understandable, since a lot of the enemy names were in fact different localizations of the same or very similar enemy names from the Mario Bros. games. The Pakkun Flower is one I remember quite well. 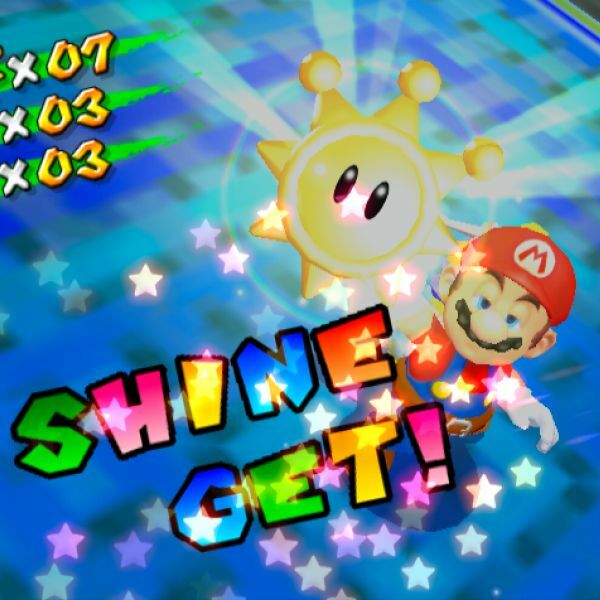 As is Chichibo–later changed to Goombo. W-Wait, so what’s with her whole appearance in the USaian live action series ?_?… ? What is the opinion of devs on the whole unfortunate accident? I mean stuff like “Super Hornio Bros” was closer to the franchise itself than this “thing” . Lets not forget making Mario US&A into Mario 2, sic. There is that webcomic series as a sequel of that film following the story where it was left off, I lol’d at gasmask Toad. I wonder if Daisy still takes the role, or did Peach appear too? And why the check is Wart’s existence SO IGNORED by Nintendo? Is this because of his Zelda appearance? They copied all those masketta men into the main franchise for some reason, but left out the big boss. Sorry I am stupid, just noticed there are comments in the lower part too. Those annoying social websites are just popping up everywhere ( ͡╥ ͜ʖ ͡╥). And most sites modern day have no other option of commenting, eh.